Dance studios near me may not be the best search term to find the best dance school near you, actually. Dance studios near me in Seattle & Shoreline that are Non-Competitive, Invigorating & Fun! Our dance classes feed your soul, no matter who you are, where you come from, or where you've been. And In Shoreline, WA's North City Neighborhoods. 2 Dance Studios near me in Seattle's Greenwood Neighborhood. 1 Dance Studio near me in Seattle's Magnolia Neighborhood. 2 Dance Studios near me in Shoreline's North City / Ridgecrest Neighborhoods. Dance Classes That Adults, Teens, Kids & Toddlers Love! 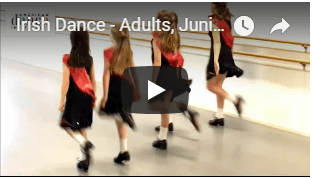 Dance classes near me ​including Ballet, Tap, Hip Hop, Modern, Jazz, Irish, & Flamenco. 5 dance studios near me including Shoreline & Seattle dance studios that are spacious and wide open. ​Shoreline and Seattle dance studios near me with classes paced specifically for the new beginner, returning student and intermediate dancer. Expert, gifted teachers who really break things down for you so you'll learn fast. Fellow students who are also friendly and welcoming. "This dance school is very accepting of different abilities but still encouraged everyone to grow, improve, and make the most of their time in class. I love ADI!" Emily G.
Dance studios near me in Seattle & Shoreline WA! ​"When you overcome procrastination because of your shyness, self consciousness, preconceived notions, or fear, you are ready to experience new sources of strength, inspiration, and joy. ​New & returning dancers, who walk into American Dance Institute’s studios, experience this every day. Join them." Adult dance class students Ryan, Mat, and Jenay from the American Dance Institute share a few things they enjoy about their new dance classes, dance teachers, fellow students, and the school. Convenience and proximity alone to a school near you doesn't guarantee a quality dance class experience. Dance studios that are excellent and beginner friendly are the better search terms to use. For school announcements and the latest dance class news join our mailing list. American Dance Institute partners with the world famous Moscow Ballet to stage their Great Russian Nutcracker Seattle performances at the Paramount Theater. Area dance students perform on stage with the Moscow Ballet's 'Dance with Us' program. The Moscow Ballet returned to Seattle's Paramount Theater in 2018 for two brilliant dance performances on November 9th & 10th. mark your calendar for The Great Russian Nutcracker 2019 as you've never seen it before and as only great Russian artists can perform it. Giving Back: Our amazing students perform Ballet, Tap, Modern, Hip Hop, Irish and Flamenco dance routines during the Phinney Ridge/Greenwood community wide Art Walk event. Watch our students (adults & kids) perform Ballet, Tap, Modern, Hip Hop, Irish and Flamenco dance routines in the 2019 annual recital. Convenience and proximity alone does't guarantee a quality dance school. Dance studios near me that are excellent and beginner friendly is the best search term to use. "You will love, love, love your dance classes! at American Dance Institute" c.h. Over 18,677 people like you have attended ADI dance classes since 1989. Some Say Dance Isn't For Everyone? Only a few dollars per class separates one dance school's class price from another but, there can be very big and important differences that impact your or your child's overall experience, your hard earned money and your happiness. Downloaded FREE 8,732 times by smart shoppers like you. Dance studios near me serving Seattle neighborhoods including Ballard, Blue Ridge/North Beach, Broadview, Crown Hill, Fremont, Green Lake, Greenwood, Haller Lake, Loyal Heights, Magnolia, Phinney Ridge, Queen Anne, Wallingford, Westlake, Whittier Heights, Bryant, Hawthorne Hills, Lake City, Laurelhurst, Maple Leaf, Matthews Beach, Northgate, Ravenna, Roosevelt, U-District, View Ridge, Wedgwood, Windermere. Dance studios near me in Shoreline serving neighborhoods including Ballinger, Briarcrest, Echo Lake, Highland terrace, Hillwood, Innis Arden, Meridian Park, North City, Parkwood, Richmond Beach, Ridgecrest, The Highlands, Westminster Triangle. Dance studios near me serving Lake Forest Park neighborhoods Horizon View, Sheridan Beach and Lake Forest Park Town Center. Why Do 92% Of Our Students Choose To Continue With Us? 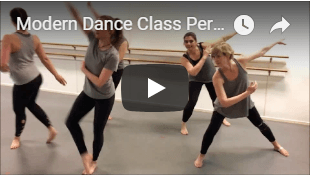 Returning students and parents are asked to select from a long list the reasons why they chose to return to American Dance Institute semester after semester. These are the reasons cited most often. Quality of dance instruction across all styles. Steam cleaned chemical free studios. Easy place to make friends. Friendly welcoming relaxing school culture.